Dr. Todd Michael Lipschultz, a Board Certified Orthopaedic Surgeon, has been in private practice in South Jersey for over 25 years. His extensive experience, medical expertise, and thorough training allows him to make an accurate diagnosis providing non- operative and operative treatment plans specific to each patient. 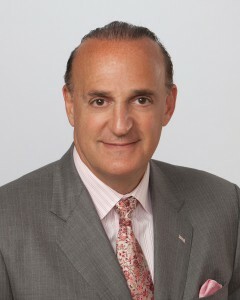 Dr. Lipschultz graduated with honors from Harvard University and received his Medical Degree from The University of Pennsylvania School of Medicine. He did an internship in the Department of Surgery at Mt. Sinai Medical Center followed by a residency in the Department of Orthopaedics at Mt. Sinai Medical Center in New York. Dr. Lipschultz then completed a Fellowship in Upper Extremities and Hand Surgery at The University of Pennsylvania, Department of Orthopaedic Surgery. Kelly Higgins Froio is a nationally certified Physician Assistant through The National Commission on Certification of Physician Assistants and is licensed to practice medicine in the State of New Jersey through the recognition by the New Jersey Board of Medical Examiners. She graduated from The Philadelphia College of Osteopathic Medicine with a Masters of Science in Physician Assistant studies. Kelly completed her undergraduate studies at Lafayette College in Easton, Pennsylvania. During her employment at Inspira Medical Center Emergency Department, Kelly developed a special interest in Orthopaedic Surgery.